For rent 1230 Sunset Street - Ranch style home, Updated kitchen and bathroom. 3 Bedrooms, 1 bathroom. Refinished hardwood floors, washer/dryer hook-ups, attached garage and yard. Sorry no pets allowed. 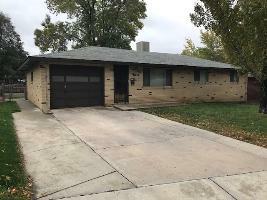 For more information, or to schedule a showing please Point West Properties at 303-447-1502.